This beautiful stone has been calcinated to change the iron oxide from cool to warm in hue. The result is striking and the granulating effect enhanced. While the Tiger’s Eye Genuine is cool olive drab, Burnt Tiger’s Eye Genuine is warm reddish-brown. In landscapes, it’s an excellent, natural-looking complement to greens. 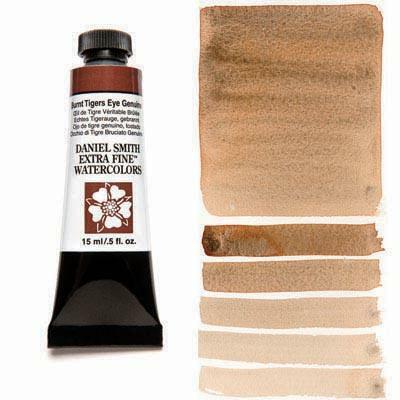 It’s also great for creating rich, warm flesh tones.